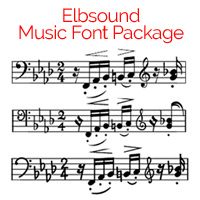 with the Elbsound Music Fonts Package. 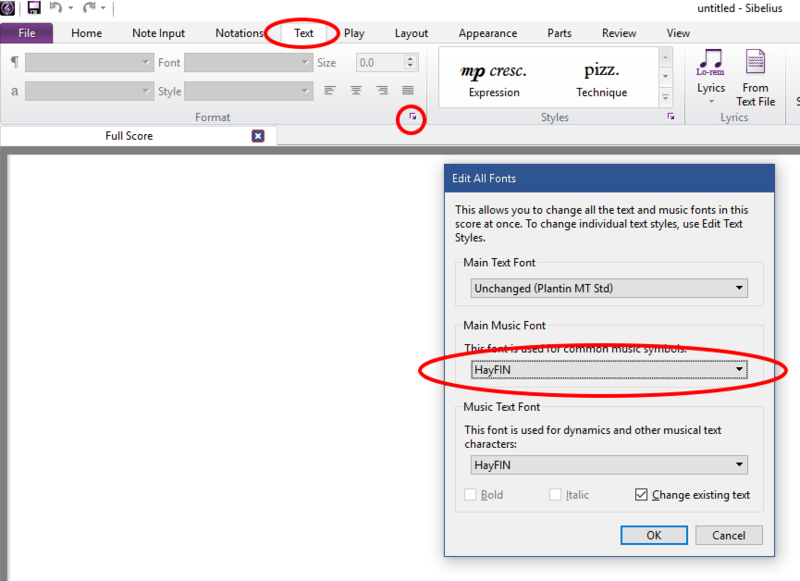 This is how to setup a Finale music font in Sibelius and applying it to Sibelius document using the Elbsound HayFIN font as an example. 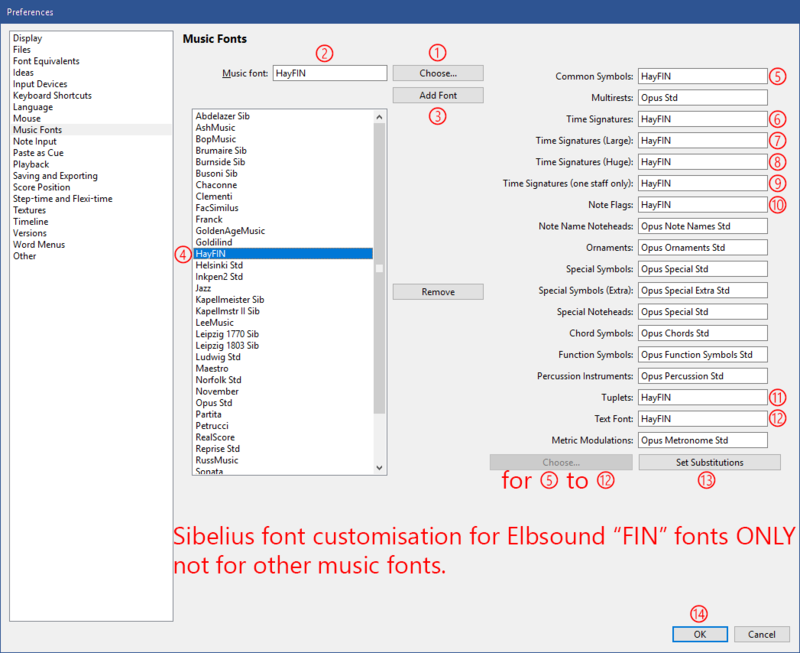 Note: Fonts made compatible with Sibelius like this use Finale's "Maestro" character repertoire, which does not wholly match that of the Sibelius fonts. Some Sibelius features might not display correctly (such as Expression text mp and mf in the music style). 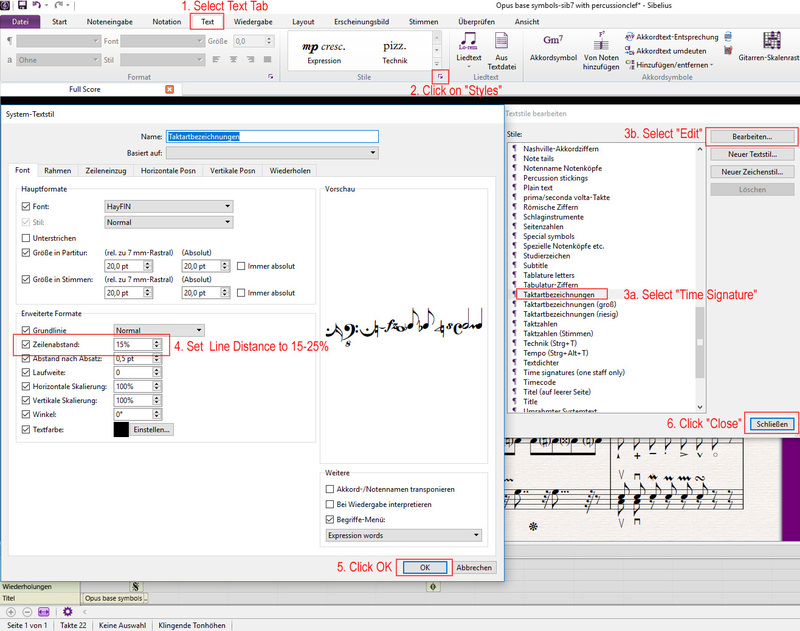 Thanks a lot to Sibelius power user Robin Walker for providing these step-by-step instructions. 16. Click OK to close Preferences. Open an existing Sibelius score, or create a new one, in which you wish to use HayFIN. 25. You may, if you wish, at this stage, export a Manuscript Paper or a House Style to incorporate all the steps 18-23 in one place. Note: Fonts made compatible with Sibelius like this use the "Maestro" character repertoire, which does not wholly match that of the Sibelius fonts. Some Sibelius features might not display correctly (such as Expression text mp and mf in the music style).